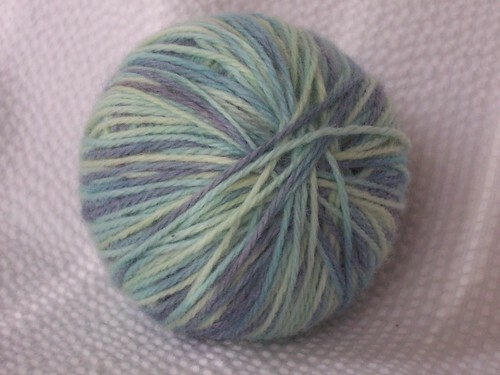 I love dyeing my own yarn for knitting and crochet projects. 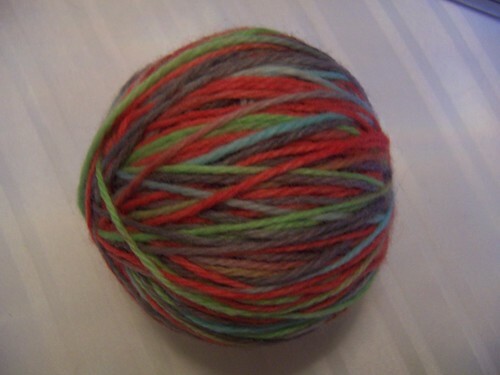 Kool-Aid, food coloring and icing dyes are perfect mediums for dyeing yarn. Not only is this a fun project, but you get to customize your color scheme to your personal preferences. My daughter loves to help select colors and dye yarn (and get a little messy too!). 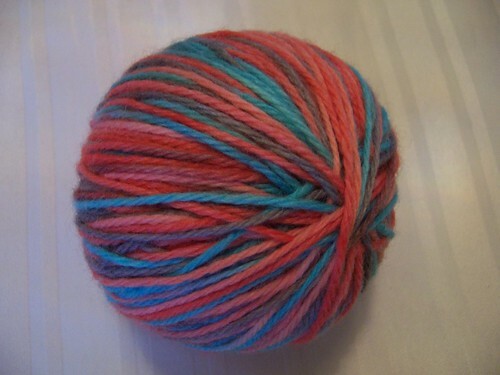 The yarn pictured above and below was dyed with Kool-Aid and food coloring. I intended the colors to be very soft and muted. I knit the yarn into an easy child-size Keyhole Scarf for my daughter. 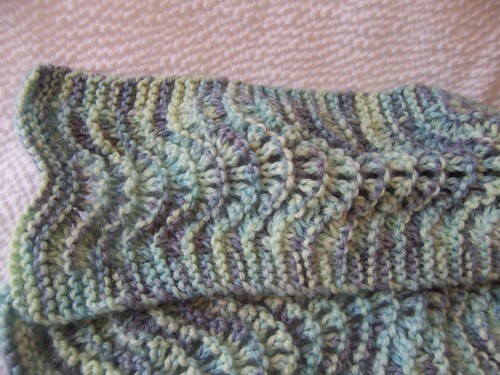 The scalloped pattern showed off the variegated yarn well. 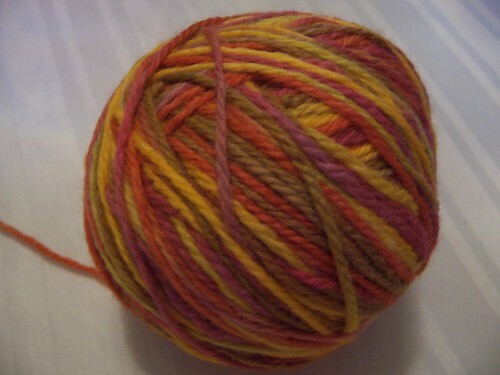 Here are more pictures of yarn I’ve dyed. The darker colors were created with Wilton Icing Dyes or several packets of Kool-Aid. The higher the concentration of dye in the water, the more vibrant (or dark) the color will be.